Hi! I'm Ruby. 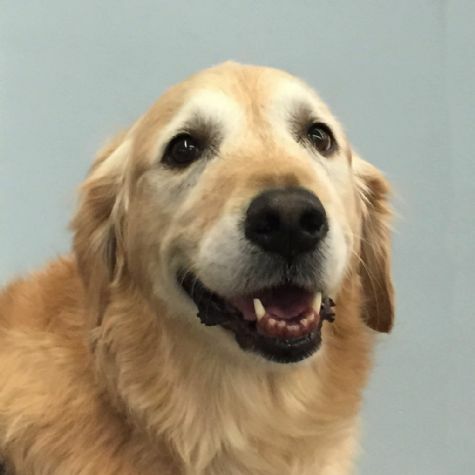 I'm a happy, furry golden retriever who loves to be scratched and cuddled. Before I came to Love On 4 Paws I lived in Canada, the UK and Europe with my owner who relocated a lot for business. I was really glad when we moved to California so I could join the program. I love meeting new people, making them smile and eating as many treats as I can. When I'm not working, I love swimming in the ocean, playing with squeaky toys and chasing tennis balls and napping on the couch!